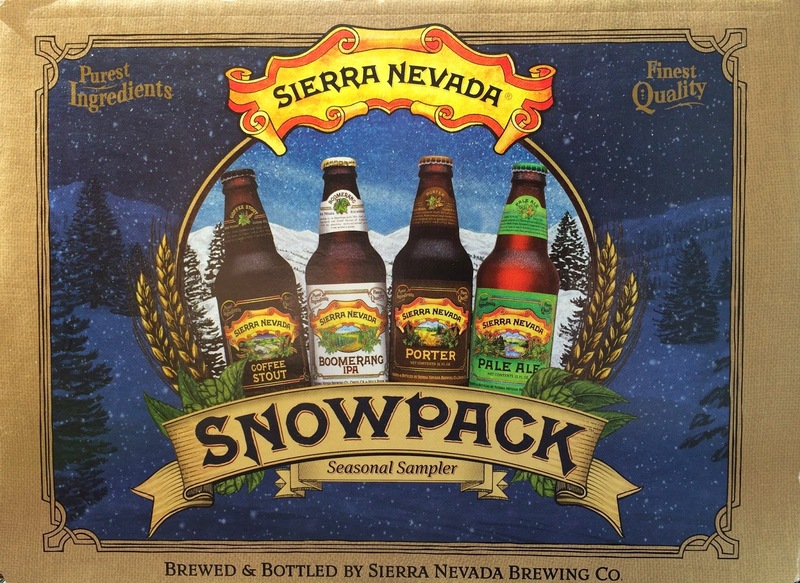 The second new beer (after Boomerang IPA) that Sierra Nevada included in their Snow Pack Winter Seasonal box is one simply known as Coffee Stout. 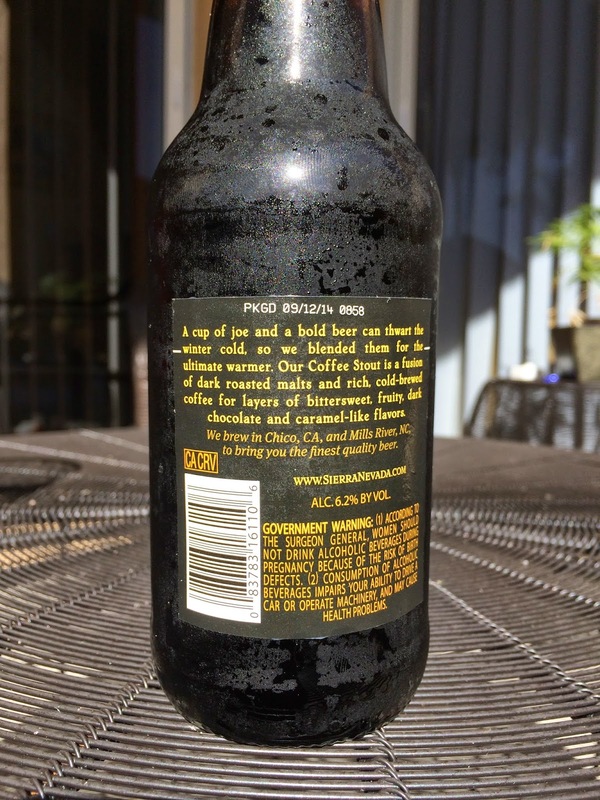 As the label suggests, "A cup of joe and a bold beer can thwart the winter cold." Good thing, big brrr tonight here in Miami with 50°F weather in just a few hours. And I have two more of these in the fridge for just such and occasion! Packaged 09/12/14. 6.2% alcohol. Coffee, cocoa, great roasted malty aroma. HELLO GIANT COFFEE BOMB flavors! 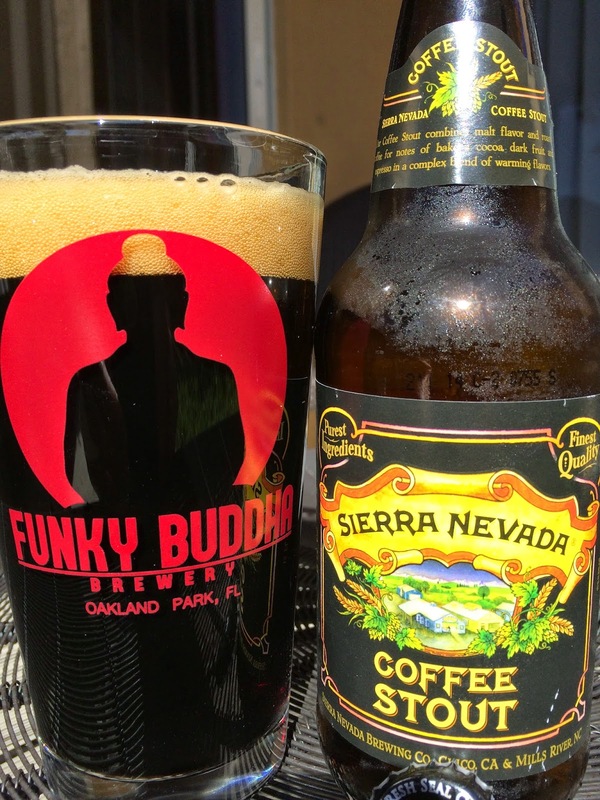 Yes, you will taste the cocoa and chocolate and maybe stretch your imagination toward one of those coffee flavors like mocha, but seriously this beer delivers on its name if nothing else! Licorice and nutty nuances exist, big amount of roast with the coffee, even a little sugary though never near sweet. Bold with the coffee! Solid beer! Check it out for sure. I don't think you can go wrong with this mixed pack either. 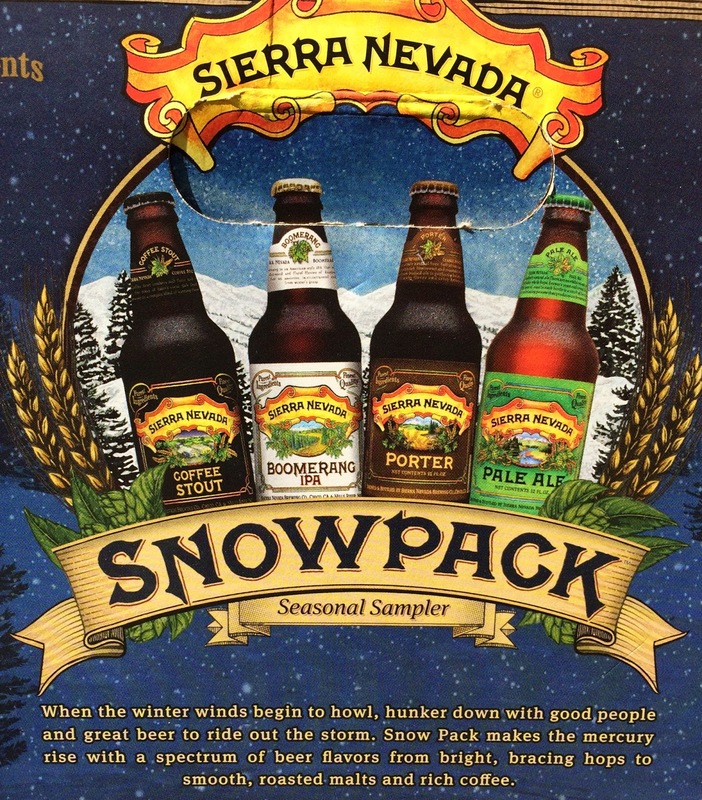 Great price and with the two new winners paired with Sierra Nevada's Pale Ale and Porter??? No Brainer!